Ian Callaghan is a player stamped into Anfield folklore after recording a massive 857 appearances for the club. 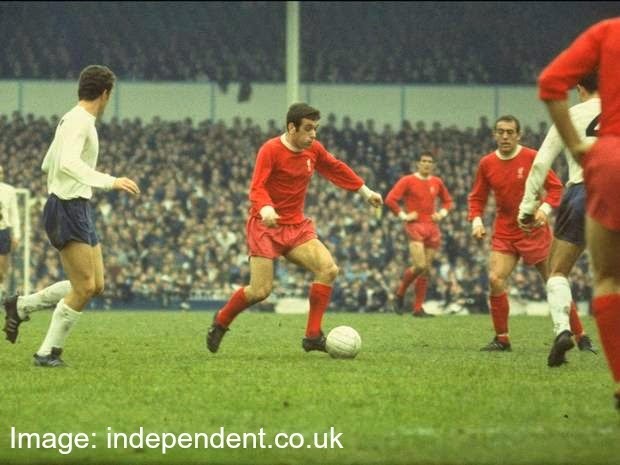 Callaghan who was born in Toxteth in April 1942 was a versatile midfielder who began his career at Liverpool on the right wing and eventually ended up in the centre. Callaghan is a name you learn as a Liverpool fan no matter what age you are sucked into the club but it is the older generation who had the privalege to experience his ability and charm first hand. Unlike a lot of Liverpool legends that I end up writing about on the blog Callaghan was a boyhood Liverpool fan and not infact a bluenose. He joined Liverpool as an apprentice in 1960 at the age of 17.